You’ve just gotten your pay check, paid all the bills, stashed a little cash in the bank and finally have enough extra to get that laptop you’ve had your eye on. Then, all of a sudden, the check engine light comes on! Just your luck! Now you have to spend that extra cash just to find out what’s wrong with your car. Or do you? 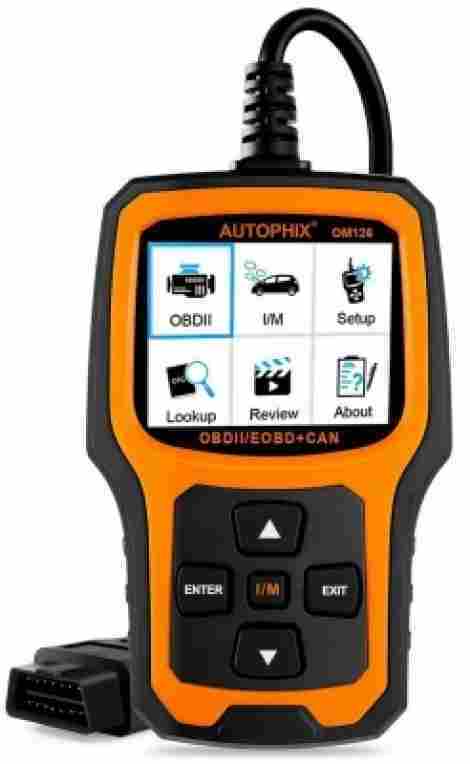 If you have an OBD2 scanner you could find out what the problem is and possibly even fix it yourself, which would save you time and money. An OBD2 scanner is a tool that can read and clear codes from your vehicle’s onboard computer. Thanks to standards set by the Society of Automotive Engineers (SAE), which were implemented on January 1, 1996 by the Environmental Protection Agency and the California Air Resources Board, all car and truck models produced in 1996 and after share a standardized system for self-diagnostics and reporting known as Onboard Diagnostics II. This allows OBD2 scanners to work on all cars models after 1996 and can help you figure out exactly why that check engine light is on. Although it may seem very technical and intimidating at first, and OBD2 scanner is actually pretty easy to use. Because the system is standardized, all scanners use the same kind of connecter to plug into your vehicle’s OBD-II diagnostic connector. 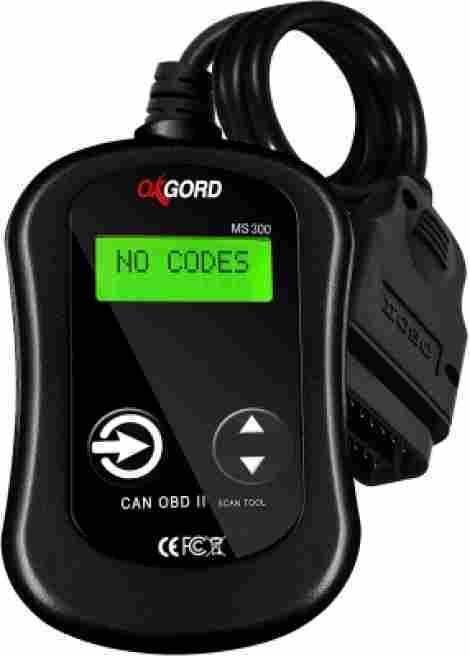 Your basic scanner can read and clear codes, but if you are looking for something more advance, there are also OBD2 scanners that can access other systems, show real-time information, save information, and much more. If you are not sure what you need, we’ve reviewed some of the best scanners on the market and provided information on the features available for each one. This list will help you find everything you are looking for within your budget. 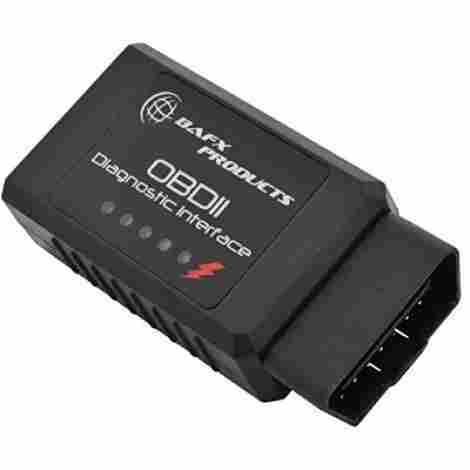 At the top of our list is the Bluetooth Diagnostic OBD2 scanner from BAFX Products. Not only do they guarantee that the OBD2 reader will work on all US vehicles produced in 1996 and later, but they also offer a two-year warranty with US based support. This reader works with your Android or Windows based device to read and clear the check engine light, ensure that O2 sensors are working, check the air/fuel ratio, and so much more for a surprisingly low price. Using a 3rd party app, this tool can be used to do more than just read and clear the CEL. You can also check the coolant temp, oil temp, fuel trim, and much more to ensure that your vehicle is prepared to pass the smog and emissions testing. You can also do graph sensor readings and data logging. BAFX Products stands by their OBD2 reader and ensures 100% compatibility with all vehicles made in the USA in 1996 and later. Their readers are some of the most durable on the market with many of their first units still in use today. This OBD2 reader is a not only one of the best-selling scanners on the market, but it’s also one of the most affordable. You get lots of great features that go beyond just reading and clearing your check engine light, including a two-year warranty. Have you ever decided to fix a minor problem on your own by searching Google only to find that the information you got was unreliable? BlueDriver users have access to the same Identifix database that is used in professional shops. This connects you to information from more than 30 million fixes concerning specific issues that have been confirmed by certified professional mechanics. 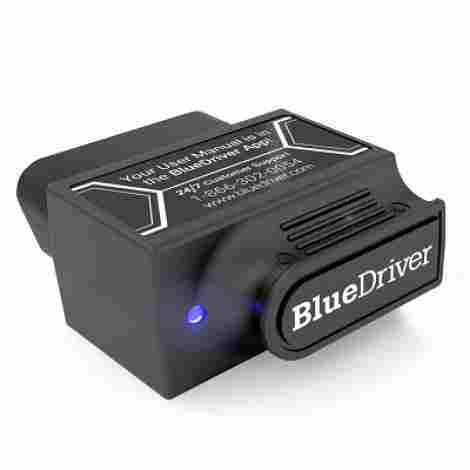 The BlueDriver is officially certified and licensed for Android and Apple devices and offers enhanced diagnostics that you would normally only find on high end scan tools. Keeping your vehicle in tip-top condition is easier than ever with detailed vehicle information always available in the palm of your hand. You can easily access information concerning recalls, vehicle specifications and even create a maintenance schedule. The BlueDriver Sensor works with their app to give you free repair reports that are specific to your vehicle’s make and model. The Information is stored in a database that includes over 30 million specific fixes allowing you to easily find the best solution for your vehicle. The professional grade OBD2 reader includes all the extra features and benefits you would normally find in a much more expensive hand-held scanner at only a fraction of the cost. It is designed and certified to work with both Apple and Android devices. ANCEL created this scanner with the beginner in mind. The hand held scanner features a classic design with a large LCD display, four buttons, and a two and a half feet long cable, all intended to make it easy to use. 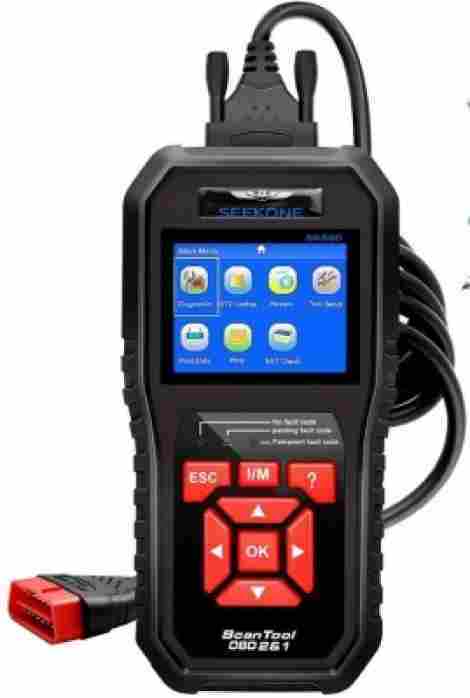 Not only is it much more affordable than other hand held scanners, but it’ll save you money by quickly determining the cause and turn off the check engine light. It also allows you to read freeze frame data gets all its power from your vehicle so you never have to worry about charging. If you are new to using an OBD2 scanner, then is the model for you. The large LCD display features white backlight with contrast adjustments that make it easy to read and four buttons for navigating the menu. The ANCEL Classic scanner not only reads and displays the code, but it has an OBD2 DTC library built in that also shows the user the definition of the code with a simple click. This saves you time from online searching and you can be sure you got the right definition. This scanner features a strong body and a thick cable made from flexible insulator to ensure many years of use. This company is leader in manufacturing automotive products and stands by the quality of their OBD2 scanner by offering a three-year warranty. This scanner is powerful diagnostic tool with features designed to make it easy to use, such as color coded LEDs, patented one-click I/M Readiness Key, and a built-in speaker. If your check engine light pops on, simply plug in the OBDII scanner and it will quickly determine the cause and display the correlating codes onto the screen, saving you possibly unnecessary trip to the mechanic. You can also use it to clear codes, retrieve vehicle information, and read live PCM data stream. If you have an emissions test coming up, it’s always a good idea to test your car in advanced to make sure that it can pass the smog test. Autel’s patented one-click I/M readiness key makes this an easy and convenient task, saving you time and a failed emissions test. It’s important that you understand what the issues are in order to fix them. This scanner features a TFT color screen that displays vivid color coded LEDs for easy readability and a built-in speaker that provides audible indications. This scanner comes at an amazing cost to quality ratio as you get a powerful diagnostic tool for a great price. It can support several languages, including German, French, and Spanish and comes with a one-year warranty and a lifetime of free online updates. The great thing about this Bluetooth automotive diagnostic tool is that you don’t have to be mechanic to understand the problem. Whenever there is an issue, it runs a check engine light diagnosis and displays the problem in plain English so everyone can understand. With this OBD2 reader you can monitor all your vehicle’s at all times and receive alerts any time a problem is detected. You will also get notified of scheduled maintenance to help you keep your vehicle in the best condition for a long run life. If you have more than one vehicle then this is the product for you. Connect the FIXD OBD2 reader to each vehicle and track them all with your phone or tablet. 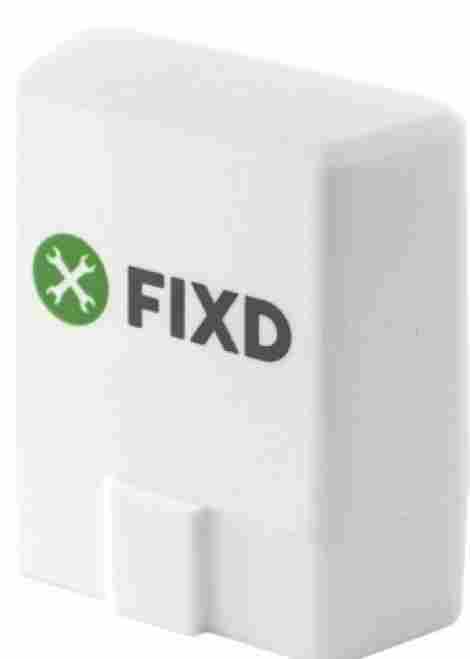 FIXD is compatible with both, Android and iOS devices. Life is hectic, and sometimes when you have a lot on your mind, it’s easy to forget about your vehicle’s maintenance requirements such oil changes. FIXD helps solve this problem by sending you alerts that remind you keep your vehicle maintained and save money in the long run. FIXD OBD2 reader not only displays the severity of the problem, but it also explains the consequences in plain English. This allows you the opportunity to make the best choices for your vehicle and save the most money. There is no reason you need to run to the mechanic every time your check engine light comes on if you have this scanner. This automotive diagnostic scan tools gives you access to your vehicle’s real-time data and lets you know if there are any issues. 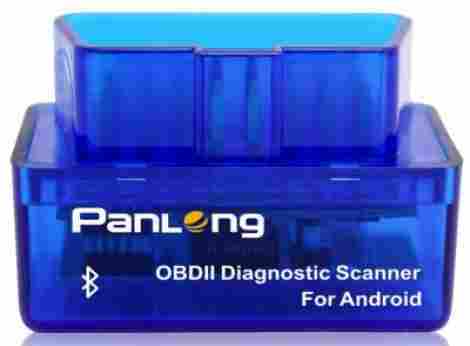 You simply plug it into your vehicle’s OBDII port and its on-board diagnostic system sends data to the scanner to be displayed on your Android device. Now you can decide if it’s a problem that you can fix yourself. Cars are complicated machines with lots of moving parts, which means that there are a wide variety of different issues that can pop up. This scanner can display information not found on your dash, including fuel consumption, intake air temperature, and ignition timing advance. If you are not a professional mechanic and are only looking for something basic that you can connect to your Android phone or tablet, this is perfect for you. There are also some free apps available like torque lite and OBD car doctor. Although this is a very inexpensive device, it can still read and clear error codes and display their meaning, giving you important information about the maintenance of your vehicle. It upholds all OBD2 protocols and comes with a 100% money back guarantee. This reader is compact device that can clear trouble codes, read diagnostic codes and even turn off that pesky check engine light. Small enough to fit in your hand, this scanner is portable and very simple to use. It only has two buttons for easy navigation and an easy to read LCD screen that makes this ideal for beginners. It comes with everything you need to connect to your vehicle and provide you with the information you need and even charges itself through the OBD2 cable. This OBD2 reader may be small and inexpensive, but that doesn’t mean it is short on great features. You’ll have access to the meaning of more than 3000 generic error codes, all saved in its database. For one low price, you get everything you need in one small device. This means that you don’t need to use your phone or tablet, you don’t need to download any extra apps, and you still have access to a large database to help you troubleshoot problems. If you need something basic, easy to use, and inexpensive, this reader is all that and more. Works on most vehicles manufactured in the US since 1996 and supports several OBD2 protocols. Are you are worried that your OBD2 scanner won’t work with your vehicle? 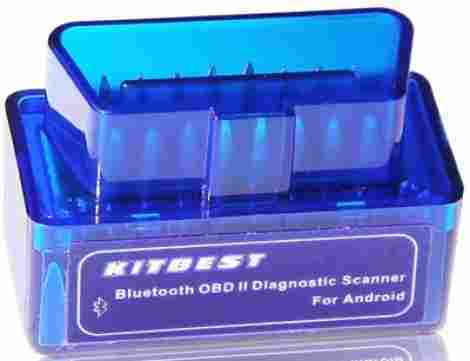 The Kitbest Bluetooth scanner was designed to work on all vehicles sold in the US in 1996 and later that are OBD2 adaptable, not including larger trucks and diesel vehicles. If you’re a DIY car enthusiast, you can use the scanner to find out why your vehicle’s check engine light is on and how to fix it. You also have the capability of clearing troubled codes and view real-time sensor readings on your tablet or phone. Kitbest’s scanner has excellent compatibility and guarantees that it will work on all 1996 and newer cars and small trucks that were manufactured in the US. It supports 5 OBD2 protocols including; ISO9141-2, CAN, J1850 VPW, KWP2000, and J1850PWM. You can use this OBD2 scanner real-time engine data so you have the most accurate information possible. Some of these readings include coolant temperature, calculated load value, short and long term fuel trim, and intake air temperature. The Kitbest Bluetooth OBD2 reader is compatible with all Android based devices and works with several free downloadable apps, including OBD Car Doctor and Torque Lite. It also comes with a five-year, no-hassle replacement warranty if something goes wrong. This scanner is a professional-grade automotive diagnostic tool that is used by professional mechanics and car enthusiasts across the country. It meets all OBD2 protocols and supports several different languages including Spanish, German, Italian, and French. This scanner allows you to read and erase trouble codes related to emission, reset monitors, and gives you access to a built-in library with more than 3000 generic code definitions so you can determine the cause of the problem accurately. Seekone’s OBD2 scanner has an exclusive one-click I/M readiness feature which allows you to quickly scan your car’s engine health statues. It will perform an EVAP test of the fuel tank system, O2 sensor test, and advanced onboard monitoring that will let you know if your car meets the State Emission Monitor Status. As an owner of a Seekone OBD2 scanner, you will be given access to a life-time of free software upgrades and updates to ensure that your reader will be free of the latest bugs and compatible with the newest vehicles on the market. This is a professional grade OBD2 reader was built for the rugged environment you find in a garage. It features and anti-slip and anti-shock design that can withstand a fifteen feet drop. The large TFT LCD color screen is easy to read and the five feet long cable gives you the option of performing diagnostics in or out of our car. Keeping your car well-maintained is important for ensuring that you and your family members are driving a safe vehicle. It’s suggested that you take it in to a specialist at least once a year for a basic inspection. But you can save both, time and money by running a diagnostic scan of your vehicle with an OBD2 scanner. This scanner is a professional automotive tool that allows you to find and solve most basic engine problems quickly and easily. Although this scanner has a large LCD screen that displays the problems and solutions clearly, you may still run into problems. Autophix has included a “Feedback” option that sends the issue to a professional who will get back to you with assistance within a few days. The plug and play interface makes this OBDII scanner easy to use and allows you to do more than just the basic function of reading and clearing codes. It enables you to check soft or pending codes and provides a built-in OBDII library with highly reliable information. This scanner offers professional quality features at a great low price. It will help you find OBDII freeze frame information and has a plug and play design that makes it easy to use and reliable. With so many different types of OBD2 scanners available on the market, it may be difficult figuring out which one is right for you. Do you just want something basic that can read and clear codes? Or are you a mechanic who requires more information in order to service your vehicle properly? Whatever your needs may be, we can all agree that an OBD2 scanner is a great way to stay informed about your vehicle’s engine health, which will save you time and money in the long run! Although all scanners are designed to read your vehicle’s on-board diagnostics, some are much more advanced than others. OBD2 Code Reader – A basic, no-frills device is the OBD2 code reader, which is fairly inexpensive and has the capability of reading and clearing codes from all vehicles that are equipped with OBD2. They usually offer limited, if any, information about manufacturer-specific codes or any other information. These are basic tools used to let you know if there is a trouble code or if your vehicle needs to be taken to a mechanic to get diagnosed. OBD2 scan tools also come in two different forms, PC-based OBD2 scanners and handheld auto scanners. PC-based scanners are usually less expensive than handheld scanners and use Bluetooth to transform your tablet, phone, or laptop into an advanced diagnostic tool that can provide highly reliable information and perform many of the same functions you find in high-end OBD2 scanners. Handheld scanners are the tool of choice for professional mechanics. They are powerful and can diagnose brake, engine, and transmission problems. They are more expensive but provide clearer and more detailed information. What good is an OBD2 reader if you don’t understand the information that is being provided? Whether this is because the screen is so small you can barely make out what is being displayed or because the language being used is confusing, the main purpose of an OBD2 reader is to provide you with comprehensible data. Make sure that the reader of your choice has a large, easy-to-read screen and uses simple language to present information in a way that you are comfortable with. Some scanners even allow you to customize the way data is displayed, which can save you a lot of time and prevent possible mistakes. The ability to save data from your vehicle’s diagnostic tests is an important feature that can help you in the long run. You may think that if the issue is solved, then why do you need to save the information about this issue? Mechanics understand that knowing what problems your vehicle has had in chronological order is important for preventing future issues. It means lesser questions for you and more information for the mechanic to work from. Because of standards set in 1996, all vehicles sold in the US on that year and after must be equipped with an on-board diagnostic system that makes it easier for professional auto mechanics and consumers to find possible issues with their vehicles. 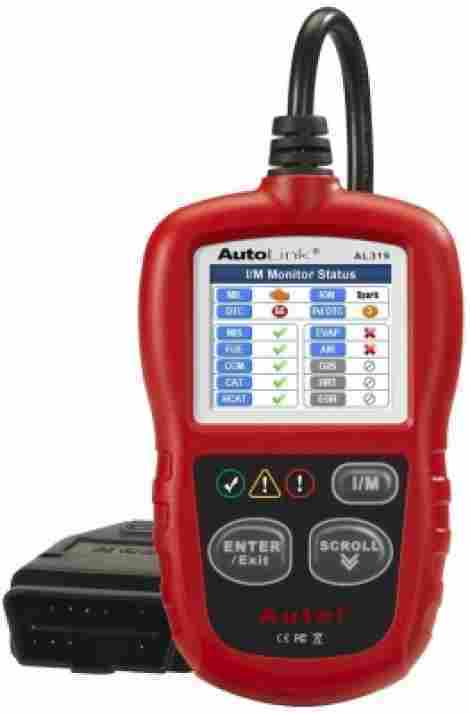 Although OBD2 devices share a universal connector that can be connected to the vehicle’s on-board diagnostic system, they are not all compatible with all vehicles. To ensure that your scanner will work with your vehicle, you need to find out which signal protocol is meets. A good reader will support all five basic signal protocols, which will enable it to work on all vehicles made in the US in 1996 and later. Nobody wants to spend money on a tool or device that will be outdated and useless after a few years. Many of today’s readers have the ability to go through upgrades and updates. This can be helpful in many ways and allows you to use your OBD2 reader for many years to come. Some of these upgrades help get rid of bugs that can cause problems with your scanner. Updates are important because they allow your device to work on the newest vehicles and adhere to any changes that have been made to the standards. The more advanced the OBD2 scanner is, the more scanning options it will provide. For some people, a simple scan of the engine is enough. For others who prefer fixing the problem themselves, a more advanced scan can provide you with more information about other issues including ABS brakes, airbags, coolant temperature, air flow rate, calculated load value, and more. Not everyone plans on fixing their vehicle’s problems themselves. Some people just want basic information so they know what the issue is and if they need a professional to take a look at it. Some people just want to know if their vehicle will pass the emissions test or not. Look for OBD2 devices that use simple English and feature a built-in database to provide you with code error definitions. This will save you time from having to Google it and possibly get the wrong information. Q: How do I know if an OBD2 scanner is compatible with my vehicle? Q: I’m no mechanic and have no desire to even try working on my car. Do I still need OBD2 scanner and why? Most modern vehicles have computer systems that control the ignition system, automatic transmission, ABD, fuel infections, airbags, and more. An OBD2 can scan the entire electronic system, find problems, and inform you about the issue. An OBD2 scanner can let you know if your car can pass the emissions readiness test. This gives you an opportunity to fix any problems before going in. OBD2 readers can detect possible malfunctions by displaying problem codes. Some scan tools even have a data base from which you can get the definition of the problem code and how to fix it. If your OBD2 reader does not have this option, you find problem code definition online. OBD2 scanner can save you time and money in the long run. Being able to determine what the problem is will give you peace of mind. You’ll also know if the issue is an easy fix or something that needs professional assistance. You’ll find that there are some issues you can troubleshoot yourself with a little help from the internet. Q: What should I look for in an OBD2 scanner?